Terry Boyle is a singer/songwriter from Dublin, Ireland. With a vast repertoire of Celtic songs, some teary, some cheery, some sing-along and some from the archives, Terry has a song or story for every occasion. As a songwriter Terry’s style is varied, evolving and always entertaining. Using a variety of tunings and finger-pickings, his songs are both autobiographical and descriptive of both past and present. Terry looks forward to chatting and singing to you, with you, and, maybe about you or somebody you know. — James Kasper, Founder Vancouver Island Music Awards, Mighty Speck Records. DUBLIN2 (Martin Nolan and Terry Boyle) performing at Bowen Park, Nanaimo. 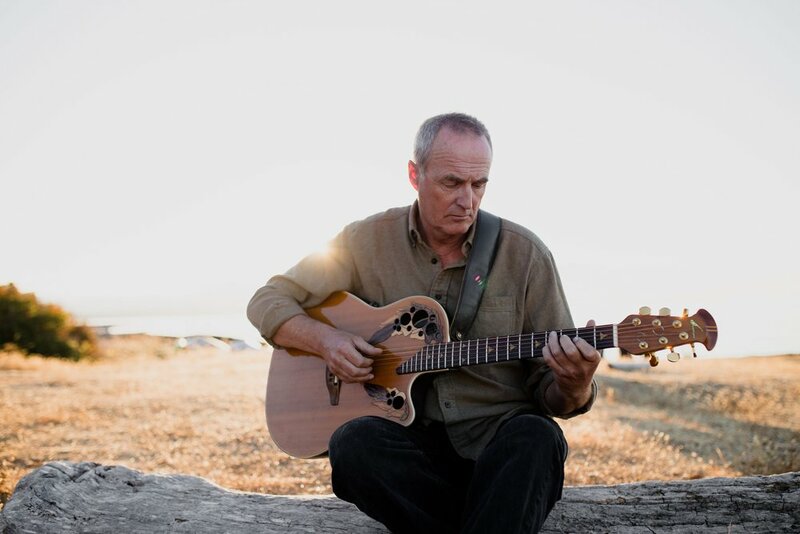 Feature Artist at Sooke Folk Music Society. Photo by Marilyn J. Adams Gallant. Ceilidh Briscoe, from Victoria, BC, is a five time North American Fiddle Champion, and an All-Ireland Fiddle Champion. She is proud to have performed in Ireland, the UK, Scandinavia, Germany, China, and across North America with the world renowned “Riverdance”.